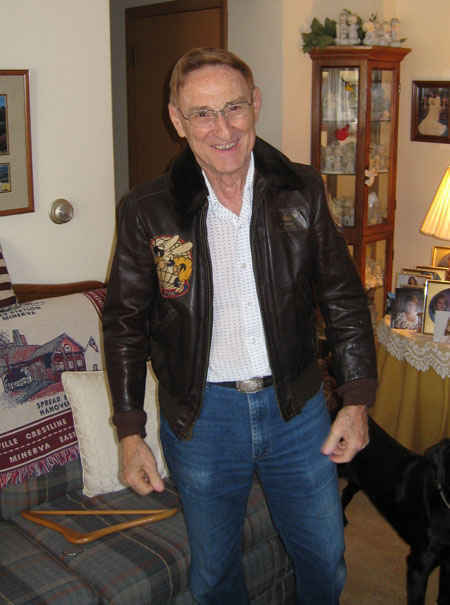 Gene wearing his pilot's jacket from the USS Boxer (CV-21). It still fits, well almost. 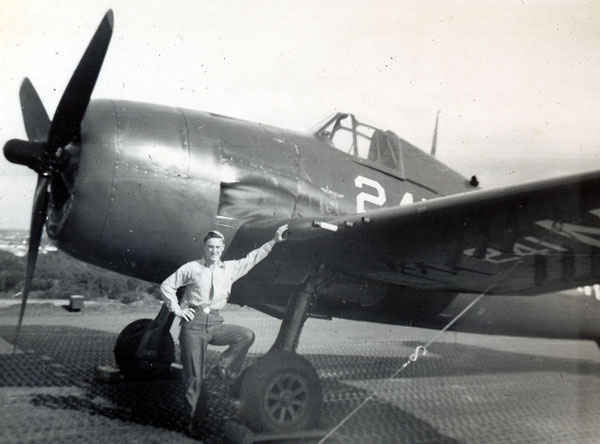 Gene in front of a F6F Hellcat. 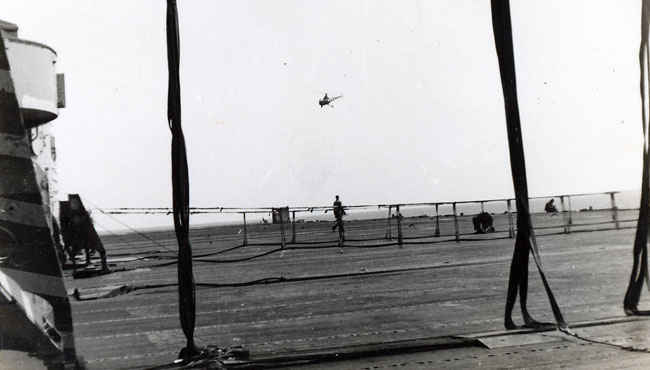 Kill wise, the Hellcat was the most successful aircraft in naval history. 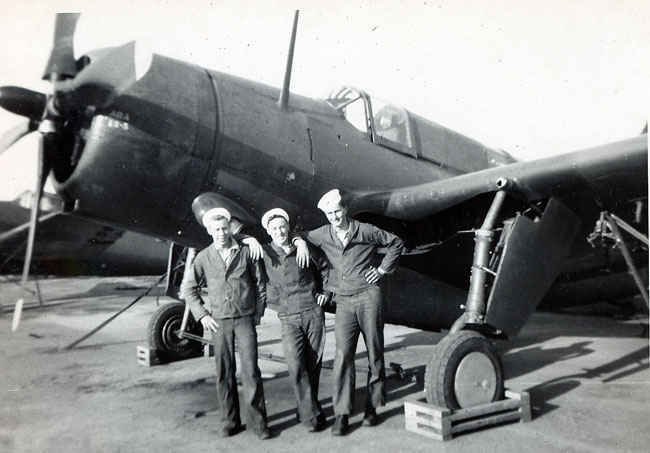 It came into service during World War II and replaced the F4F Wildcat. 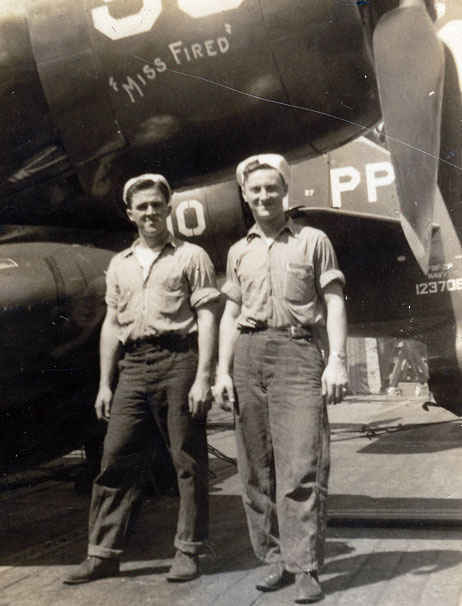 The Hellcat was the primary fighter along with the Corsair. The F6F outclassed the Zero in nearly every category. 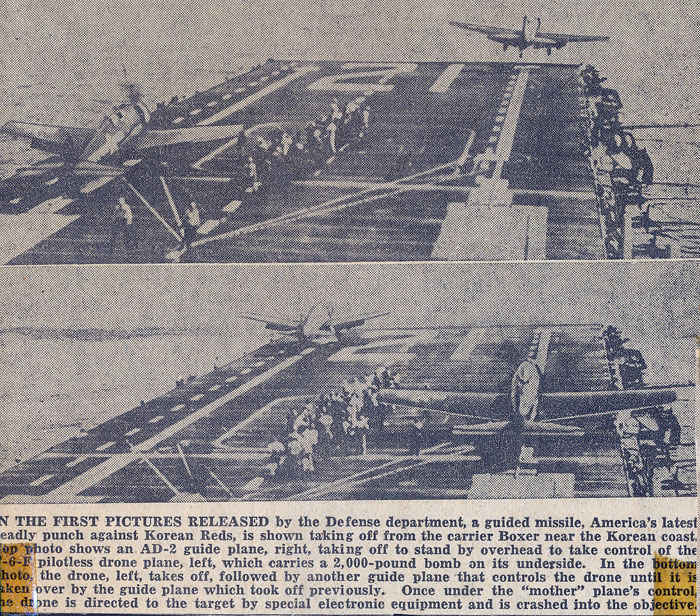 First guided missiles (un-piloted drone) to take off on the aircraft carrier USS Boxer Korean War. The drone is controlled by a guide plane which takes off at the same time and the drone is radio controlled into hot zones where it is to smash into the objective. Some sort of plane. Do you know? If you do send me a WarChat. 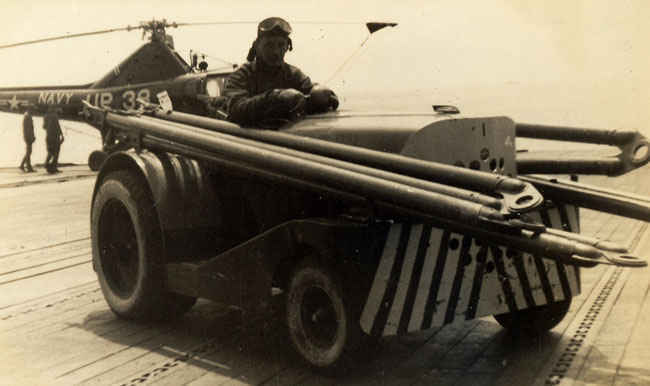 Maybe a torpedo bomber, not sure. Gene in the middle. 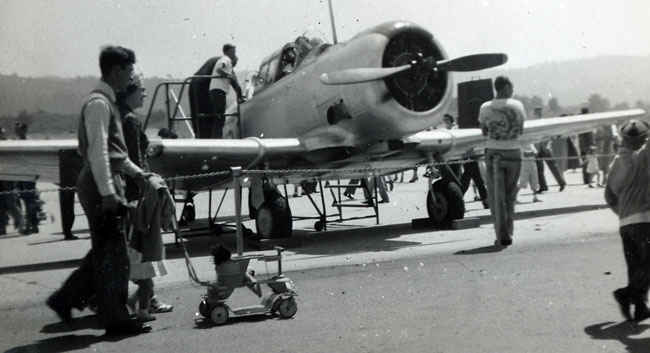 Beechcraft SNB at the Naval Air Station Monterey, California in 1951. Cessna in front of a hanger at Monterey, California in 1951. Douglas DC-3 flown by Southwest. The DC-3 paved the way for modern aircraft travel today not to mention played an integral part of World War II as a C-47 transport. 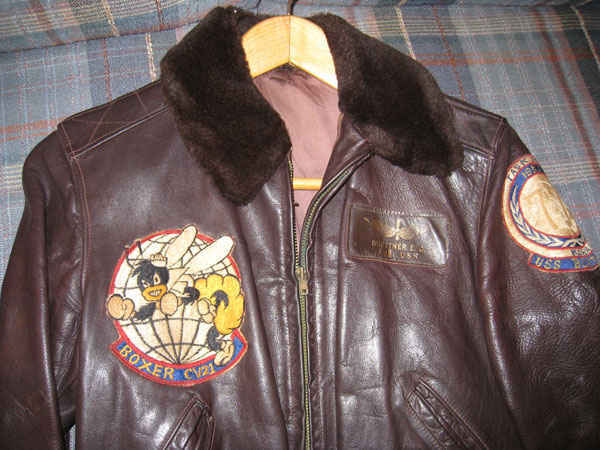 Navy SNJ Advanced Flight Trainer. 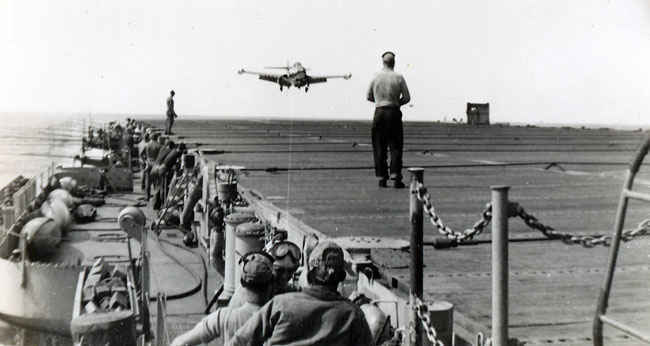 AD-2 Skyraider missed its mark on the carrier landing. 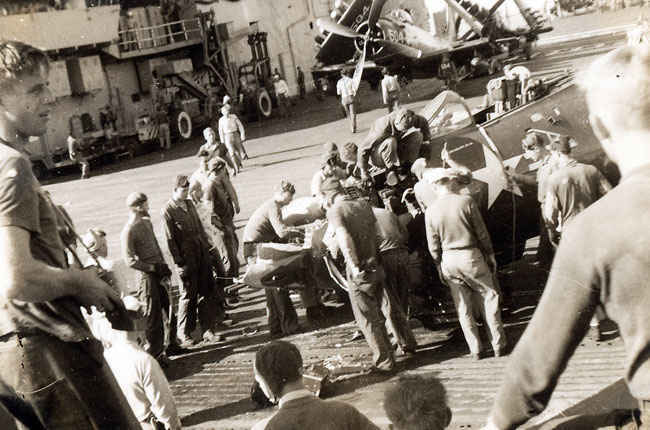 It was an attack bomber that was the backbone of the Navy during the Korean War..
United States Ship, USS Boxer. 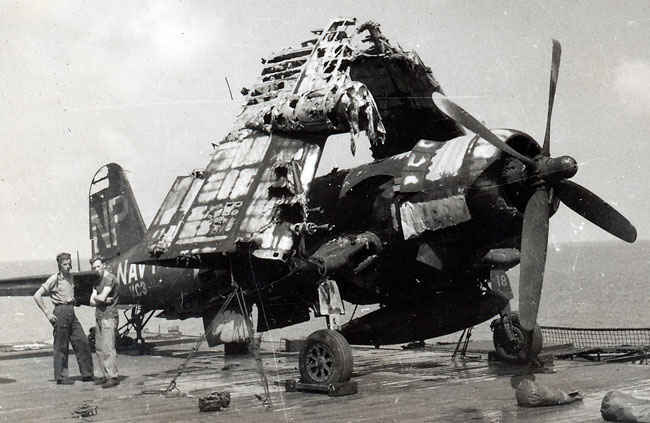 F9F Panther after the fire on the Boxer. Boxer in Korean waters. 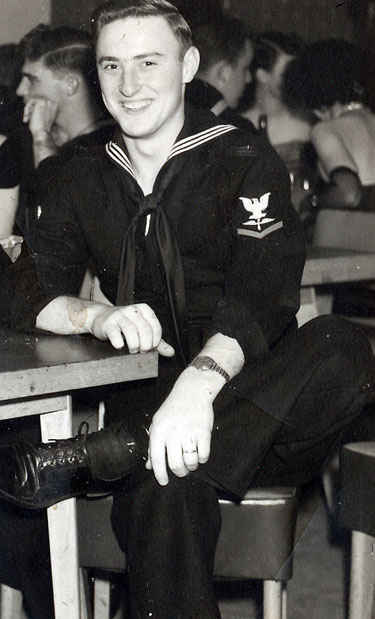 The Boxer served 3 tours in Korea. 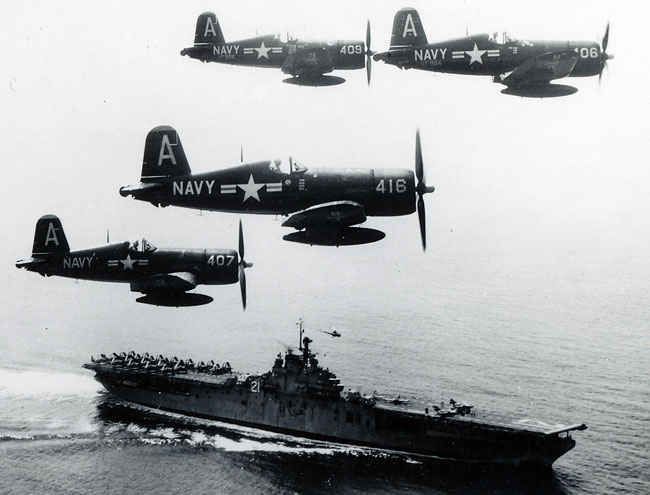 Corsair formation above the Boxer. Panther jet crash on Boxer. 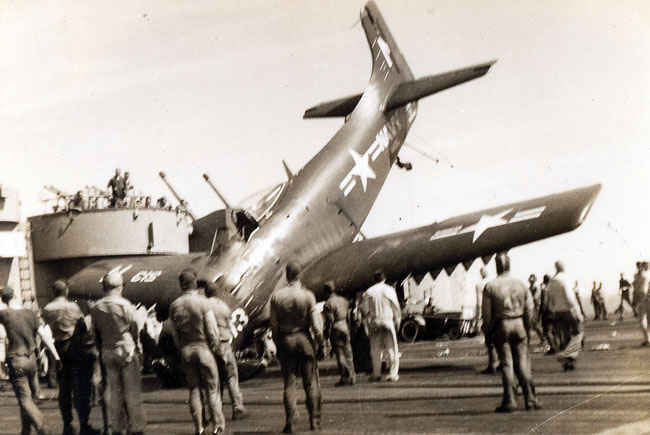 Corsair after the Boxer fire on desk. Many planes were so badly damaged they were pushed over desk. 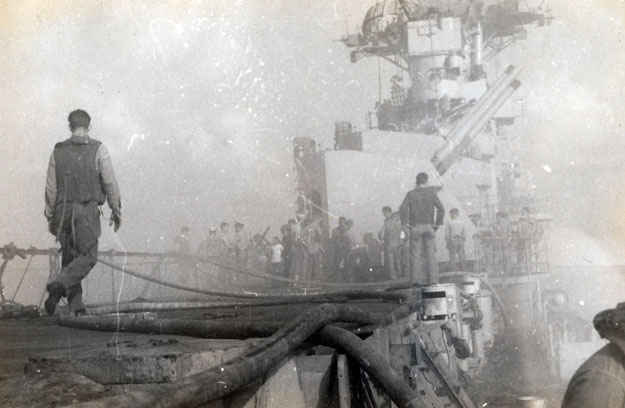 Fire on the hanger deck of USS Boxer August 6, 1952. 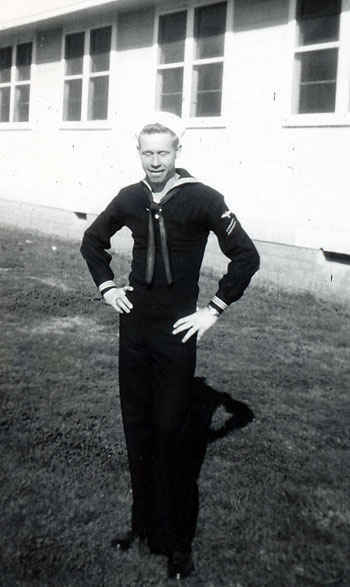 9 died from a fire that started when a sailor improperly remove a shell from a machine gun on a plane which then fired a bullet into a planes gasoline tank starting an inferno. Yokosuka, City Hall in Japan. 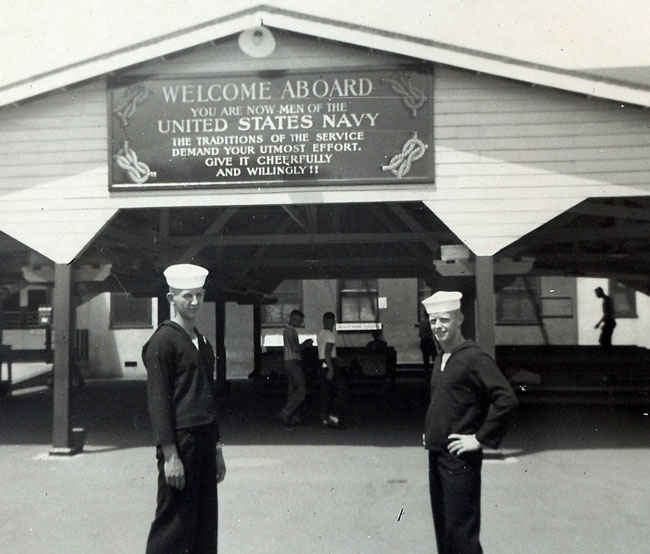 "Miss Fired" onboard the USS Boxer. 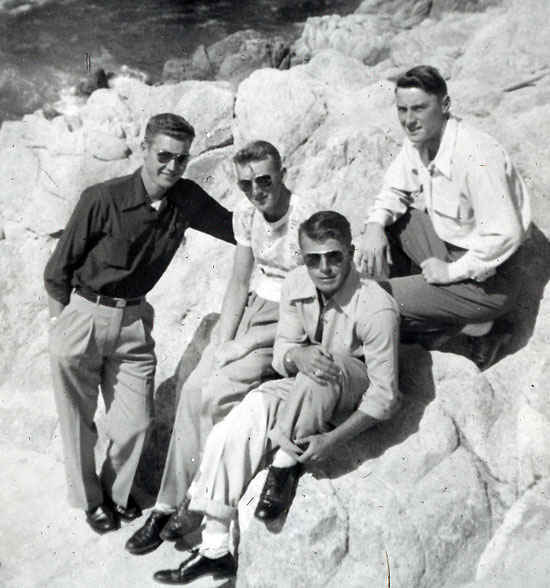 Gene is to the right. 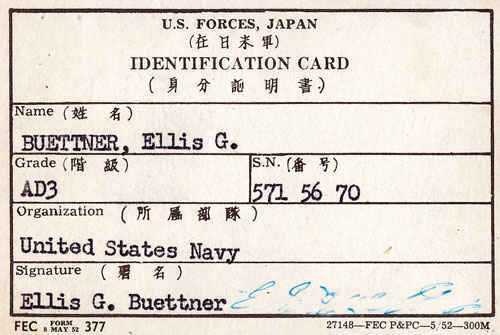 Identification Card, Petty Officer Third Class. 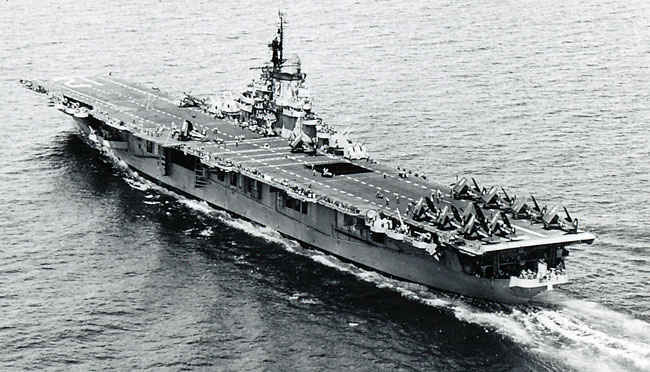 USS Boxer Joins Task Force 77 off east coast of Korean on June 24, 1952. 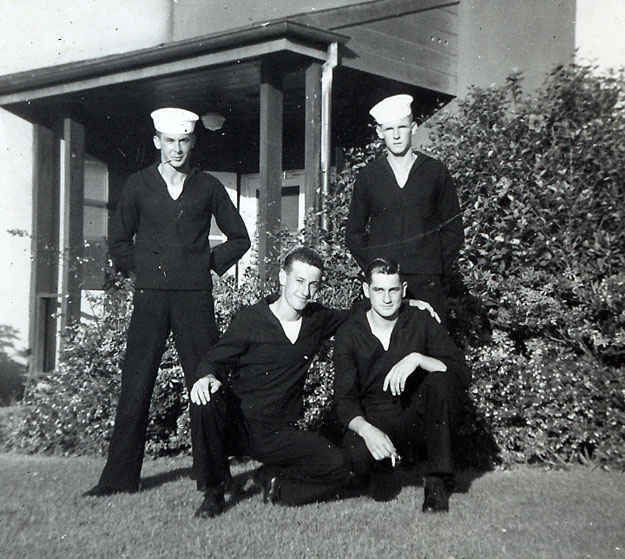 She was joined by Princeton, Philippine Sea and Bon Homme Richard. They conducted successful raids against Hydro Electric plants in North Korea. Message from the Captain concerning the fire. 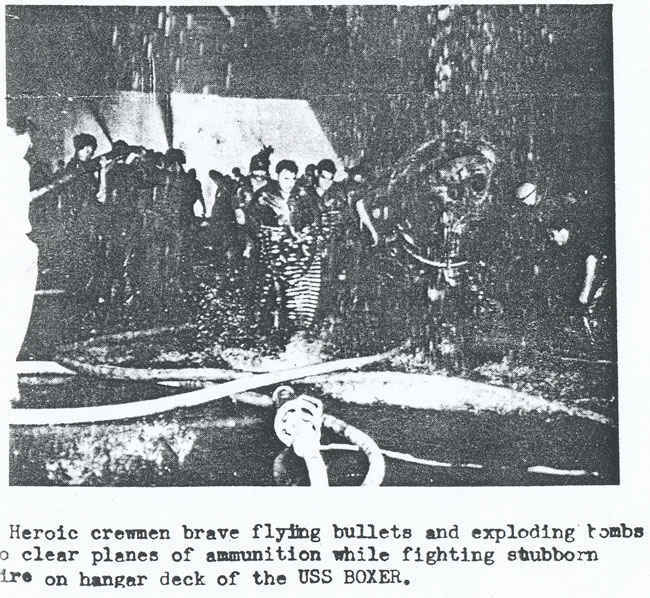 Crewman brave flying bullets and exploding bombs while trying to put out the fire on the Boxer in 1952. 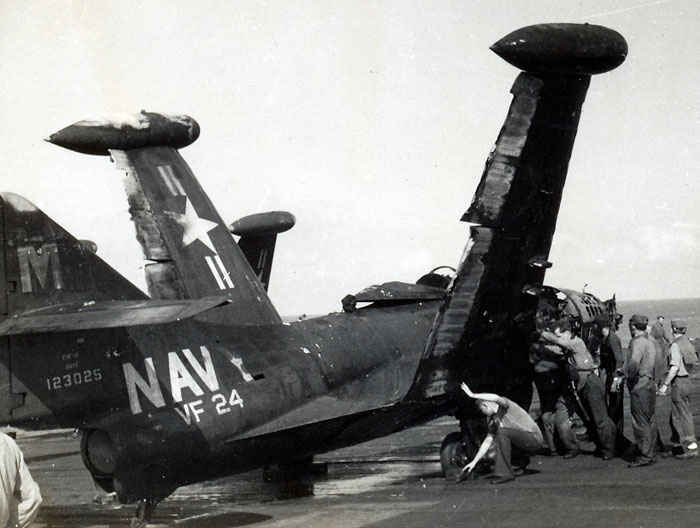 Aftermath of hanger on the USS Boxer. Pictures of the fire taken by Gene while he was on the deck. 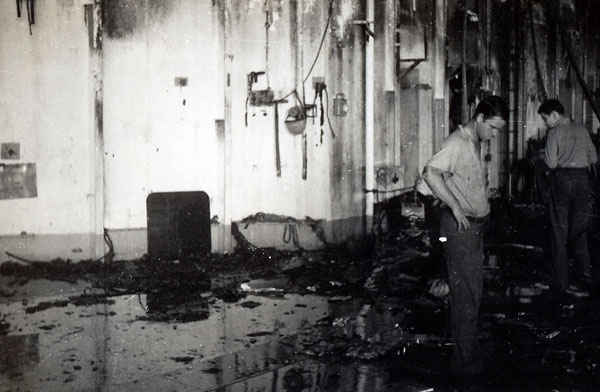 The fire spread so fast that Gene was unable to man his fire station. 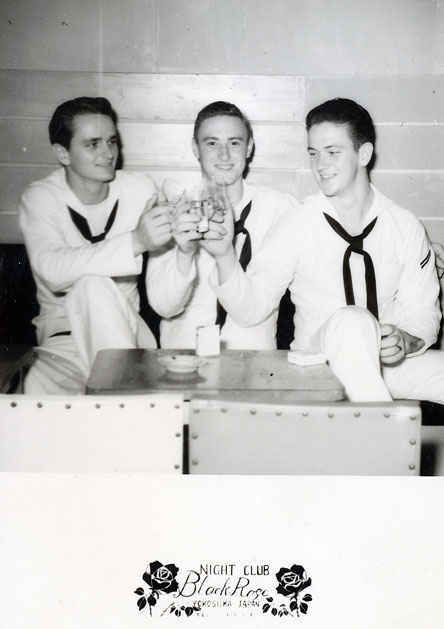 Sailors on the desk were lifted 6 feet in the air when the main explosion went off. 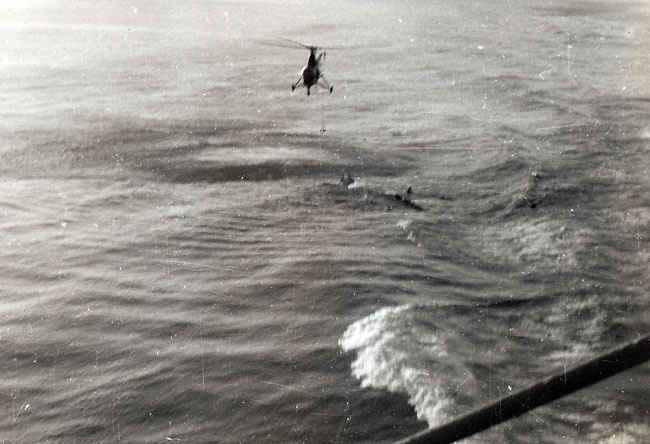 The fire on the Boxer forced 63 men who had been trapped by the blaze to jump overboard. 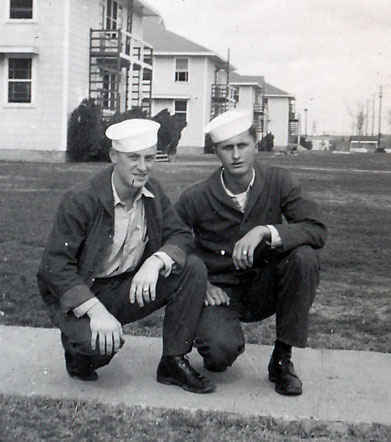 Most of which were picked up Task Force 77. 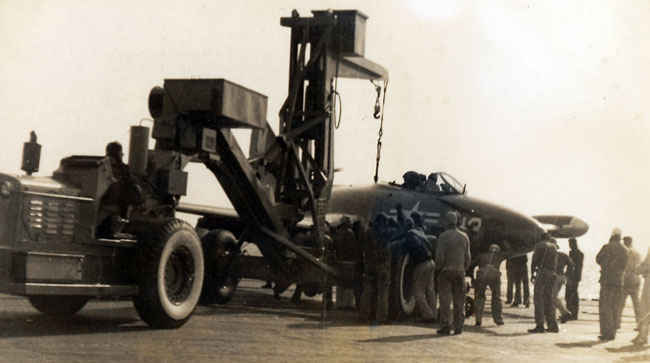 F9F Panther picked up by the tractor loader. Black Roge Night Club Tokosuka, Japan. Gene in the middle. Hellcats lined up in Monterey. 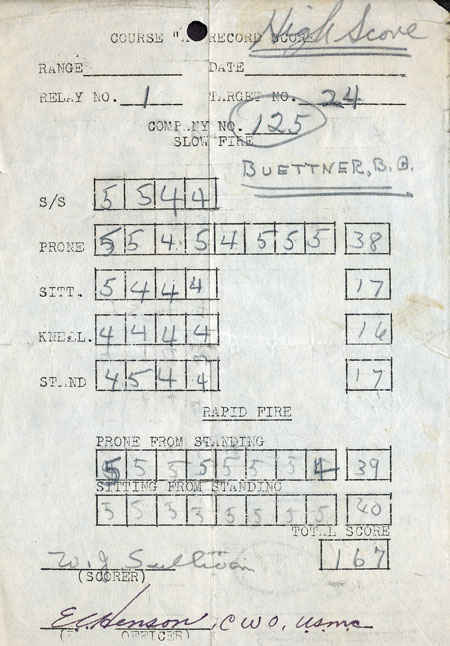 Range scorecard from Basic. Gene finished with High Score for his class. PBY Catalina was an flying boat. 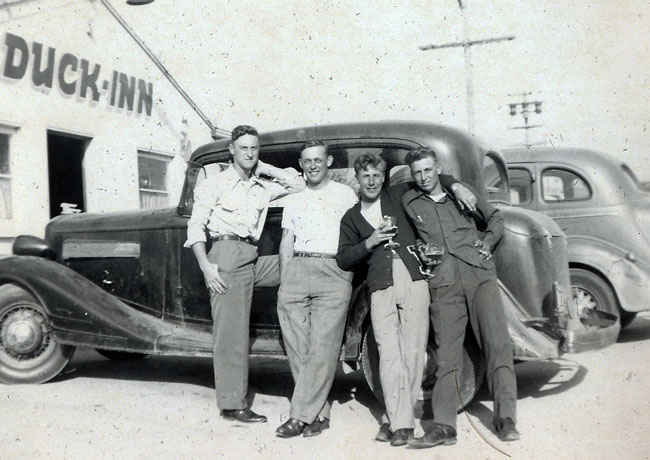 Drinking beers on liberty in Ducks, Inn California. 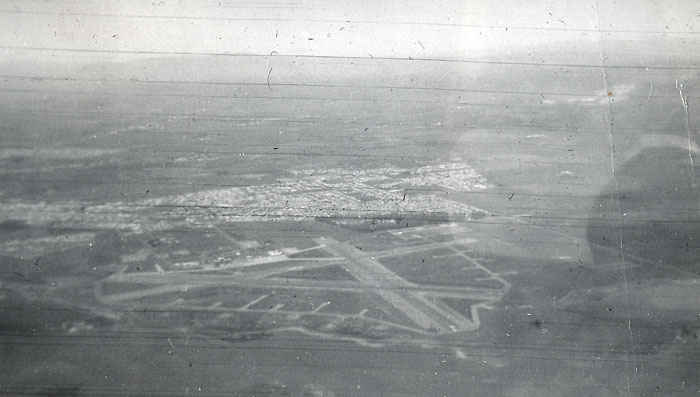 Aerial photo of Salinas Airfield near Monterey County, California. . Pilot in the drink after having to bailout. Pilot was safely rescued by the Boxer. Korean War enemy propaganda leaflet. Along the 17-mile drive. Wreckage of Steam schooner S.S. Flavel, which ran aground on rocks off of Cypress Point on December 14, 1923. 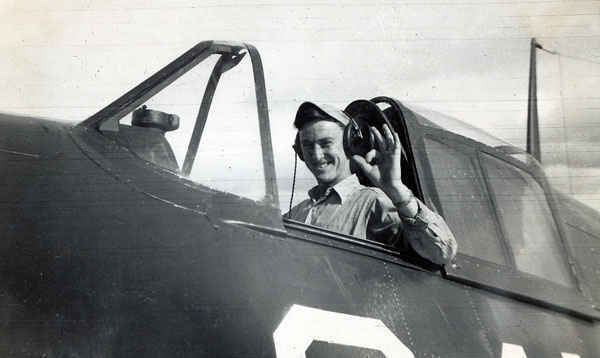 Ellis G Buettner at the flight controls of a Hellcat. 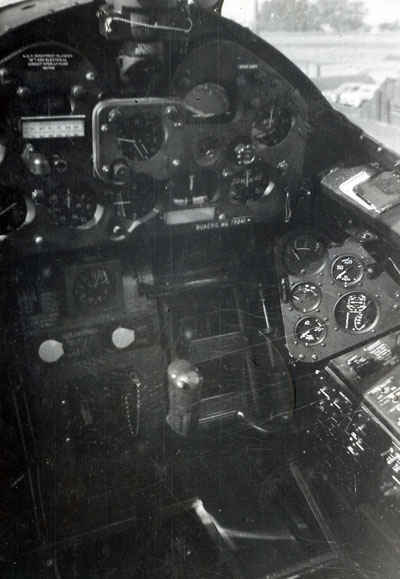 Inside the cockpit of a Grumman F6F Hellcat. 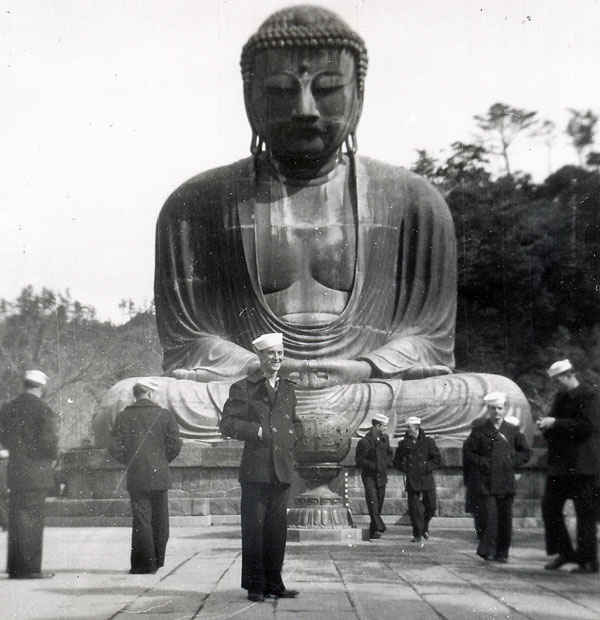 Gene in front of a Buddha during the Korean War in Tokyo. 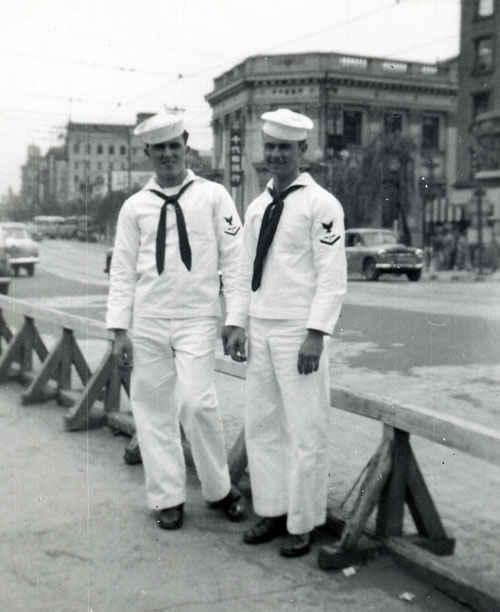 On liberty in Tokyo during the Korean War. 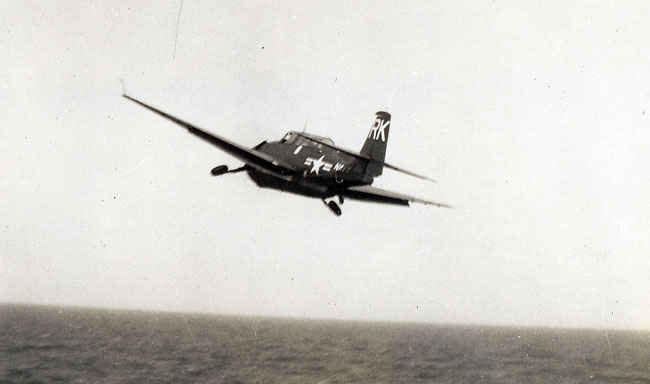 TBM Avenger taking off the Boxer during the Korean War. 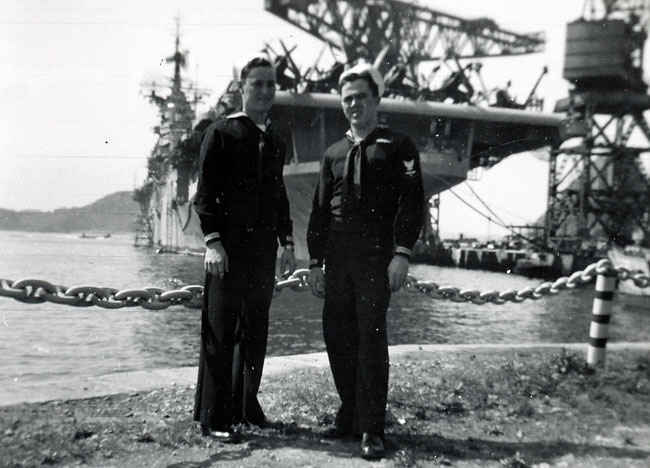 Yokosuka, Japan was one of two destinations the Boxer made during Korean War. The other was Tokyo. Scenic view along the 17 mile drive through Pacific Grove, California. Today it is the main road of the Pebble Beach gated community. 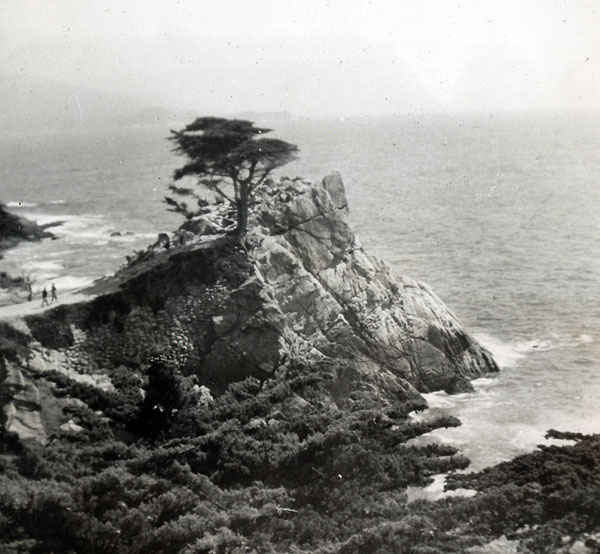 The lone cypress at the foot of the 17-mile drive in California still stands today. Ghost tree on 17-mile drive. 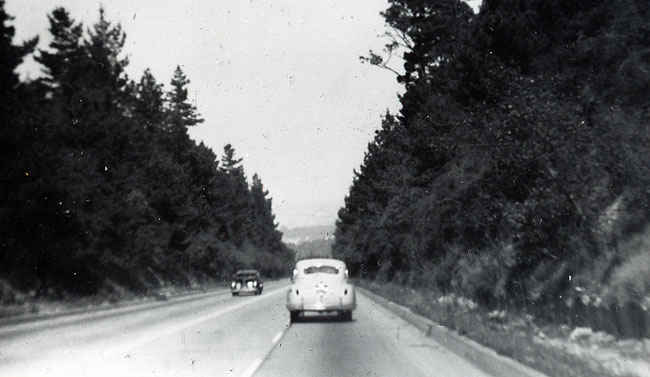 The drive as it was known was extremely popular for sailors while on liberty from naval base. 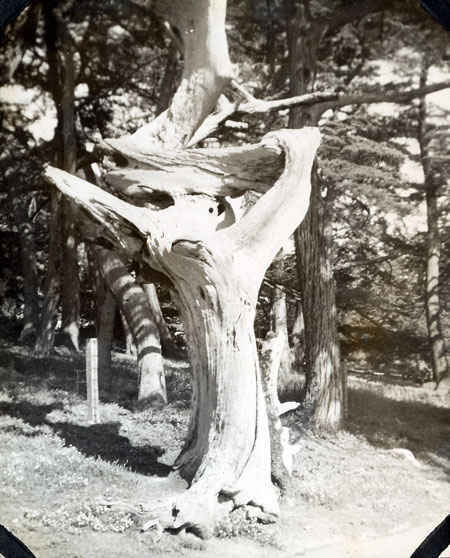 The ghost tree still exists today but looks much different, as it has fallen down. 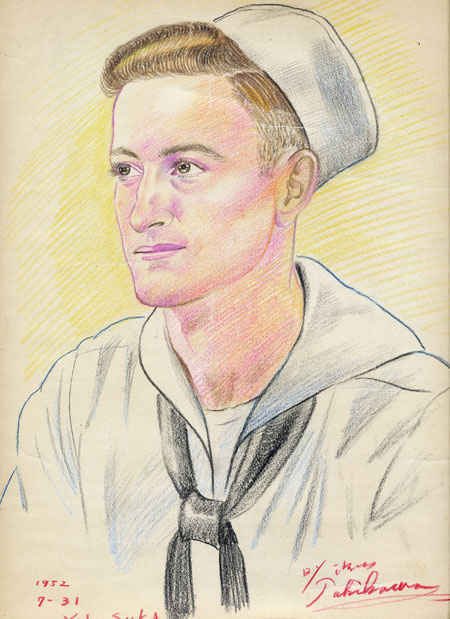 Portrait of Gene Buettner drawn in 15 minutes while on liberty in Yokosuka, Japan 7/31/1952. 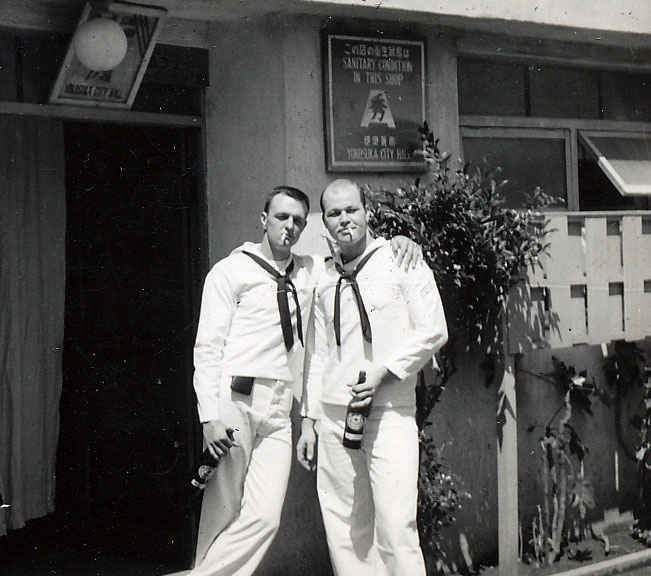 Even today, Yokosuka is the largest U.S. naval facility in Japan. 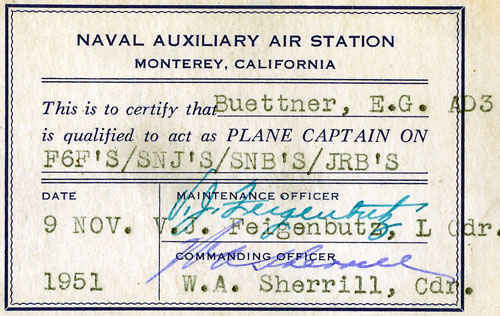 Buettner qualified on AD3 on F6F Hellcat, SNJ's (T-6 Texan), SNB's (Beechcraft Expeditor) and JRB's (VR-24). 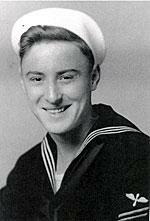 November 1951. V.J. 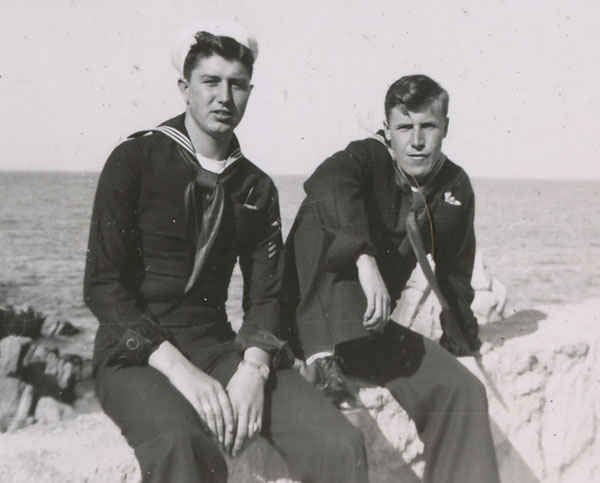 Feigenbutz and W.A. Sherrill. U.S. 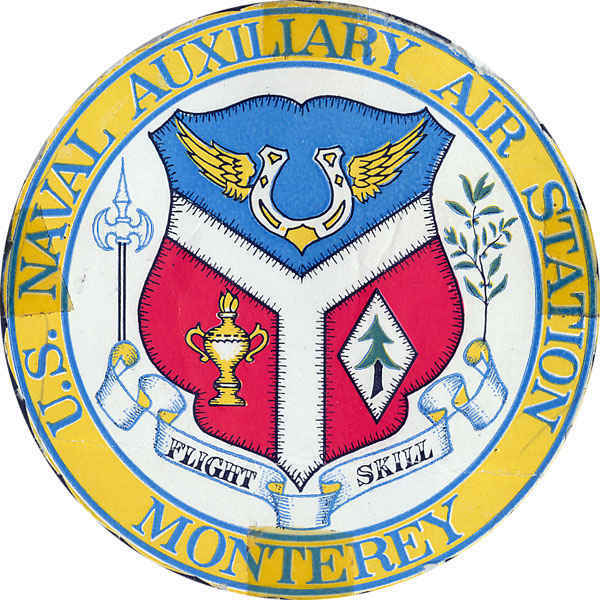 Naval Auxiliary Air Station, Monterey, California. Known as NAAS. 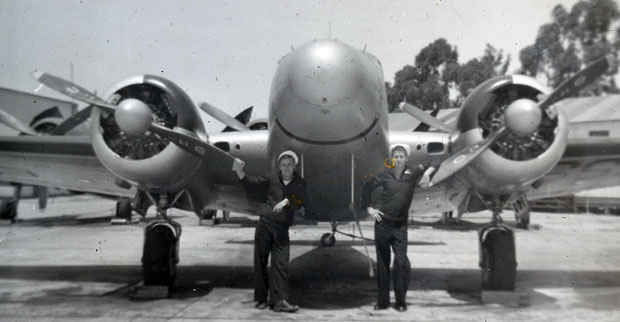 It provided aircraft for flight proficiency by the Navy. 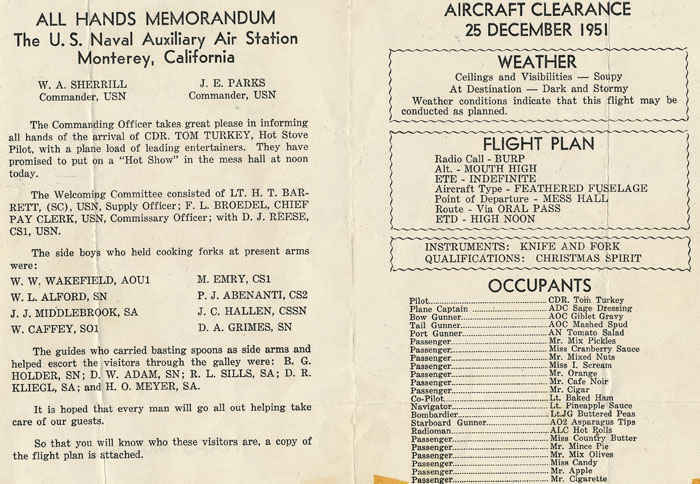 Gene qualified for plane captain on F6F's (F6F Hellcat ), SNJ's (T-6 Texan), SNB's (Beechcraft Expeditor) and JRB's (VR-24). 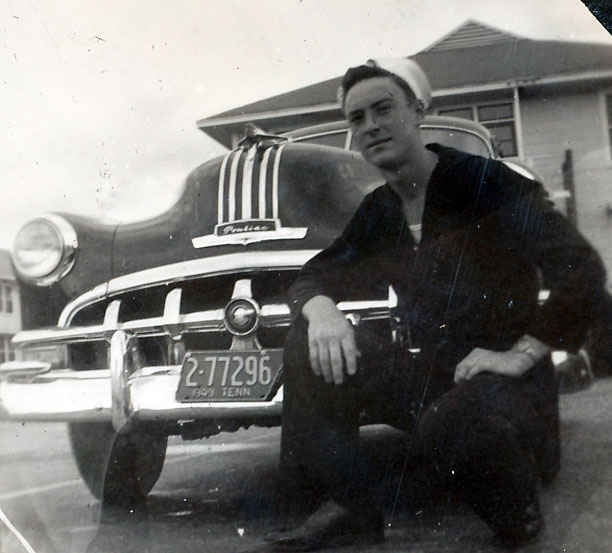 Gene with his Pontiac 1949 Memphis, Tennessee. 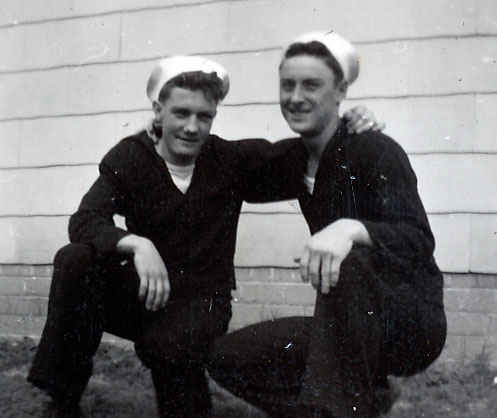 Gene on the right with his friend. 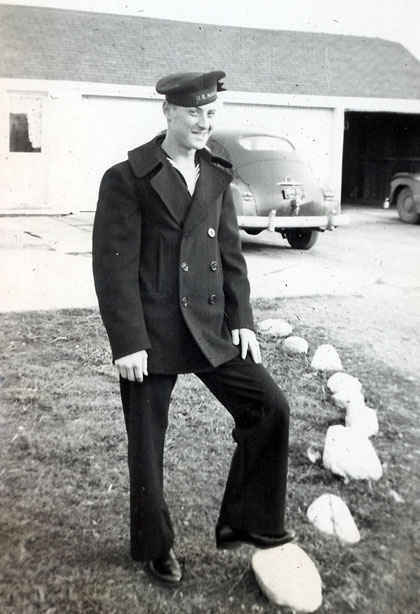 Gene Buettner with his Navy pea coat in Delphos, Ohio visiting his family. 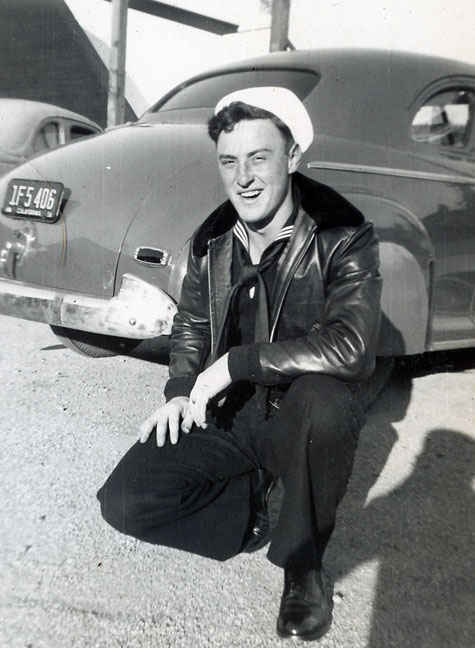 When Gene was about to be discharged someone had stole his pea coat, most likely to be sold on the black market for money by another sailor. 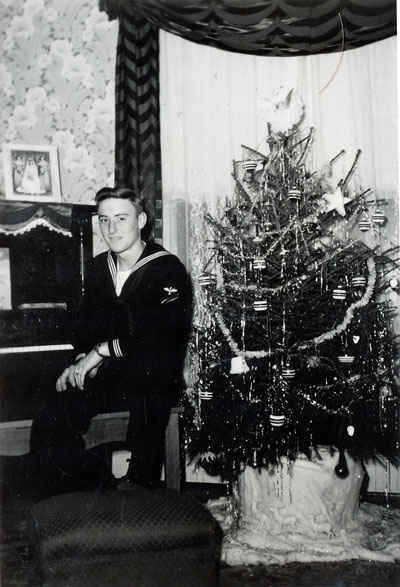 Ellis Gene Buettner on leave from the Navy and home for Christmas. On the wing of Corsair in Memphis, Tennessee. 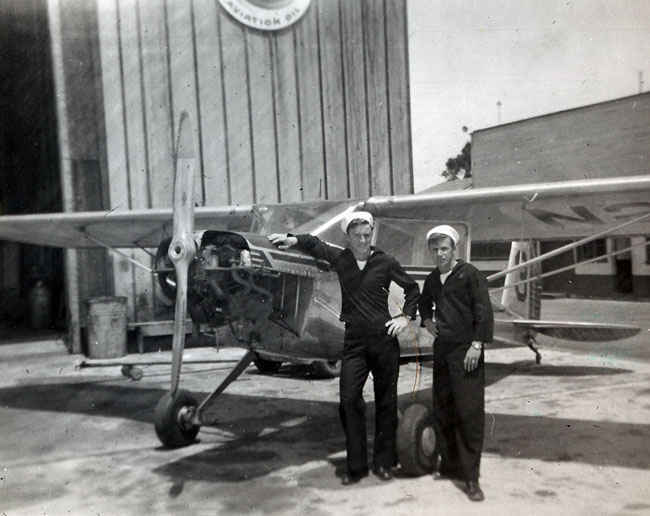 John Hittle and Ellis Buettner from Delphos, Ohio graduate from aviation school. 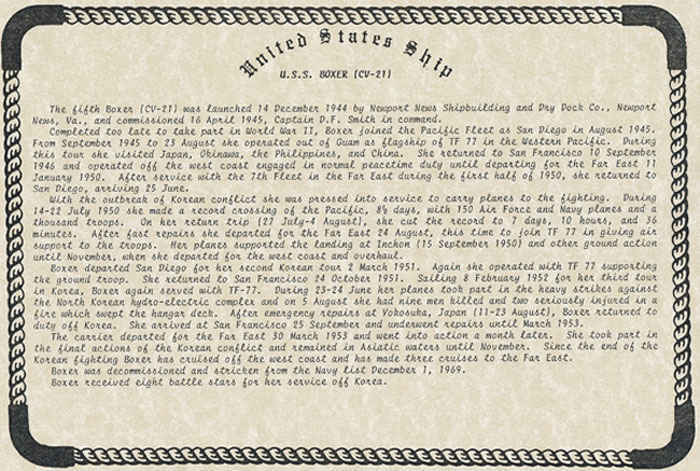 Korean Waters U. S. S. Boxer (CV-21) . 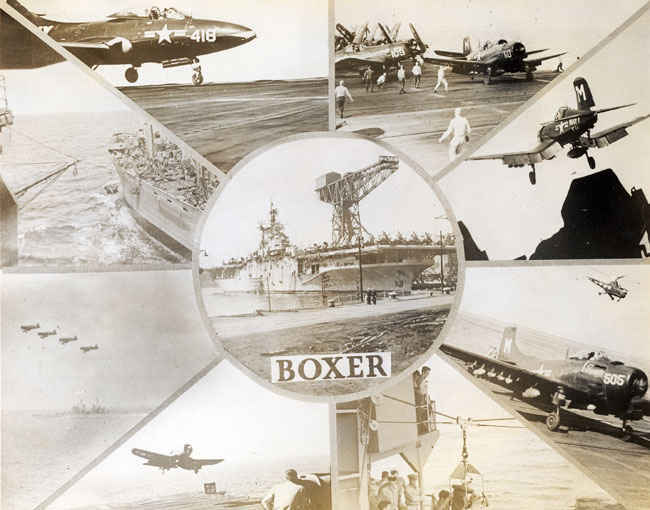 The fifth Boxer was launched on December 14, 1944 and commissioned on April 16, 1945. Greetings from Honolulu. 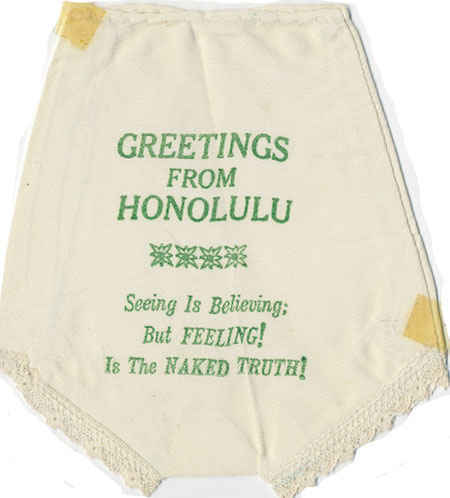 Seeing is believing but feeling is the naked truth. 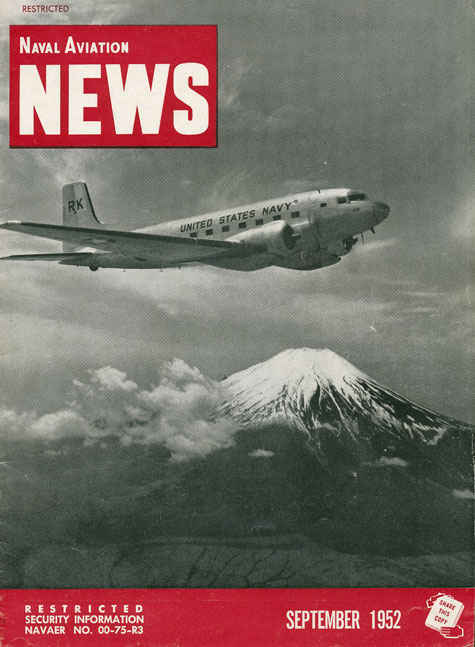 Naval Aviation News magazine from September 1952. Japanese 3 Man Sub World War II. These came to be known as midget subs. Grumman F9F Panther is about ready to grab a wire on the deck of the Boxer. 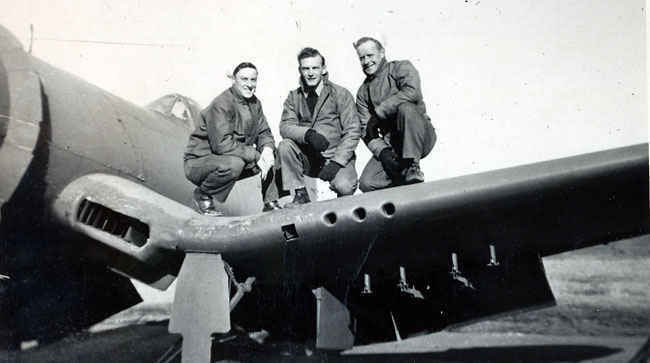 It was the most widely used jet fighter of the Korean War by the Navy. 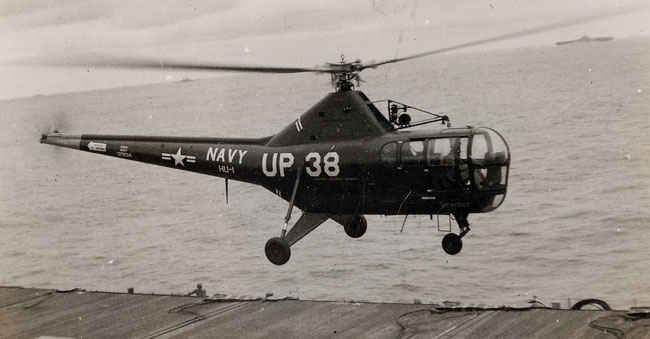 A helicopter would always take off and patrol the water around the USS Boxer during the Korean War when planes were going to land or take off. The reason for this is so that it could pick up any pilots who had to bailout. 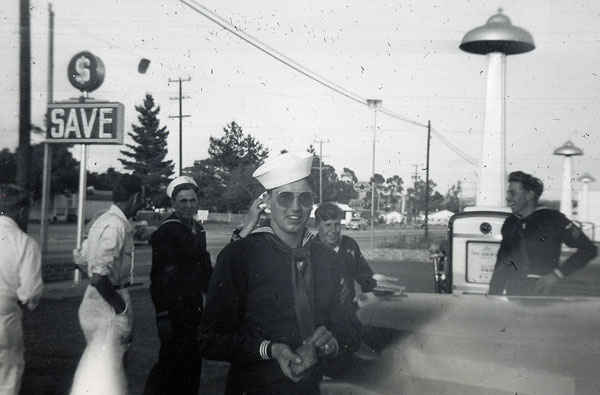 As you can tell this was a common occurrence during the 1950's. 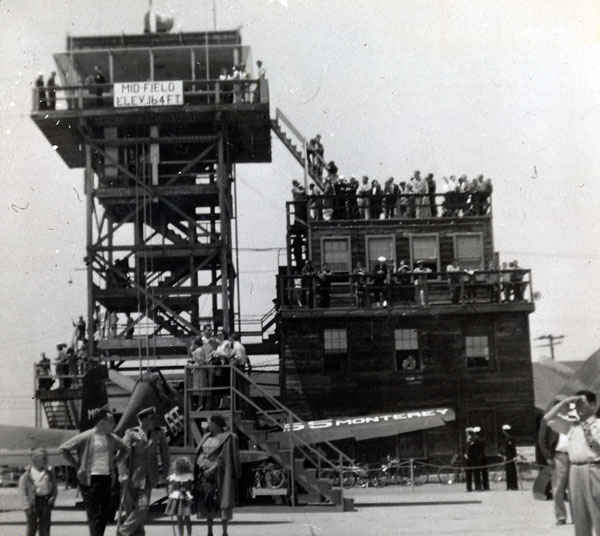 A special cargo net is set for when F9F Panther jets are about to land. 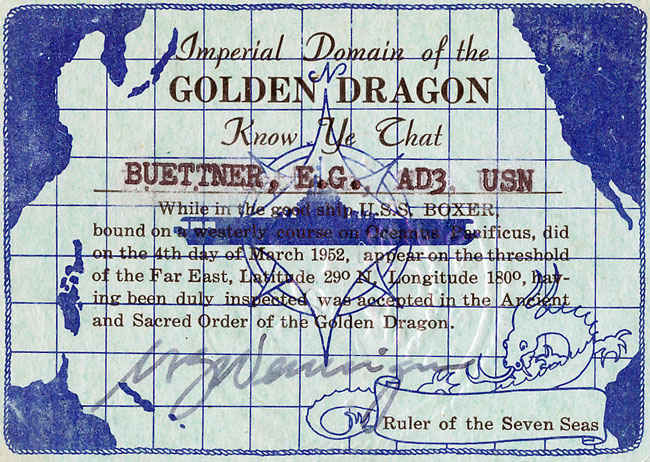 Imperial Domain of the Golden Dragon. 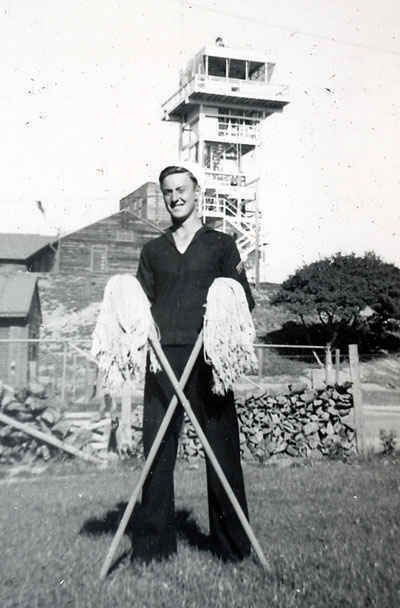 Know as the 'International Date line', when a sailor crosses from East to West, a day is skipped. when crossed from West to East the day is repeated. 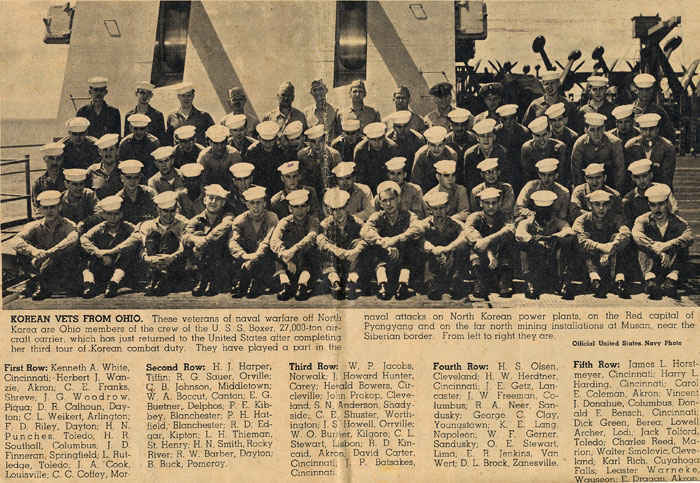 Korean Veterans from Ohio members of the USS Boxer. 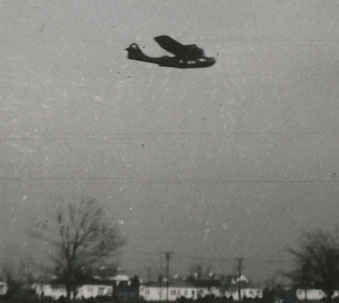 B-24 Liberator maintains the record as the most produced American aircraft. 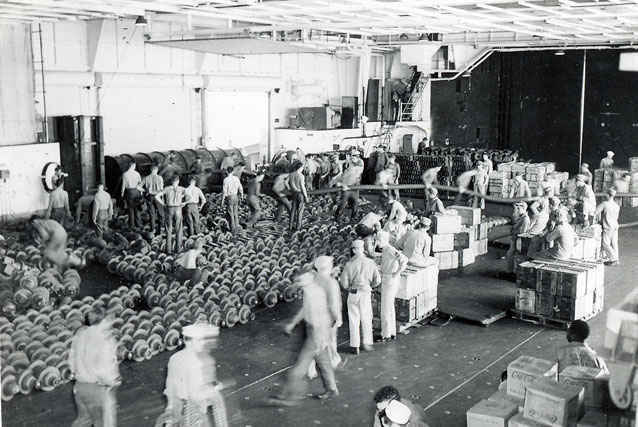 Loading the USS Boxer at sea would consume the entire aircraft carrier's resources. 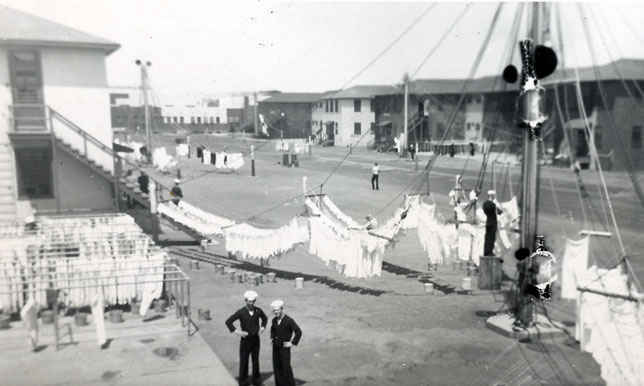 Loading the aircraft carrier at sea. 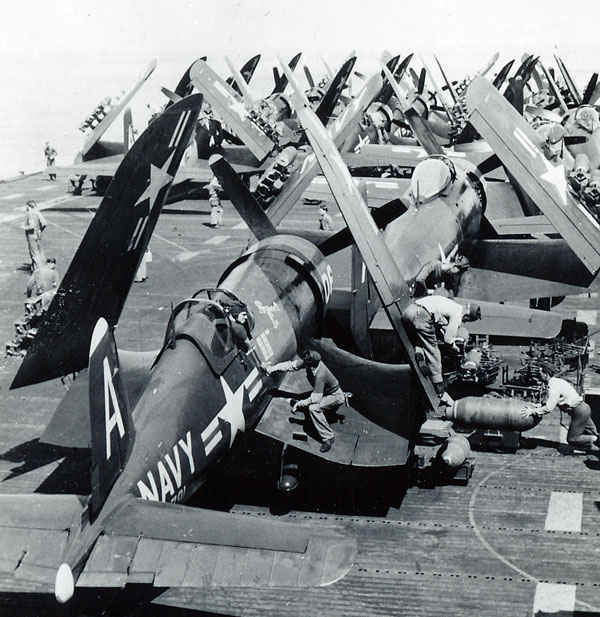 Chance Vought F4U Corsair and - are lined up the deck of the USS Boxer. 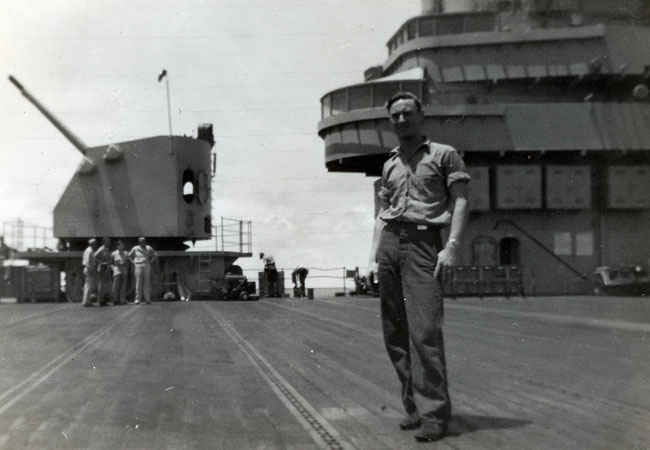 Gene Ellis Buettner on the deck of the Boxer during the Korean War in front of the 5-inch guns. 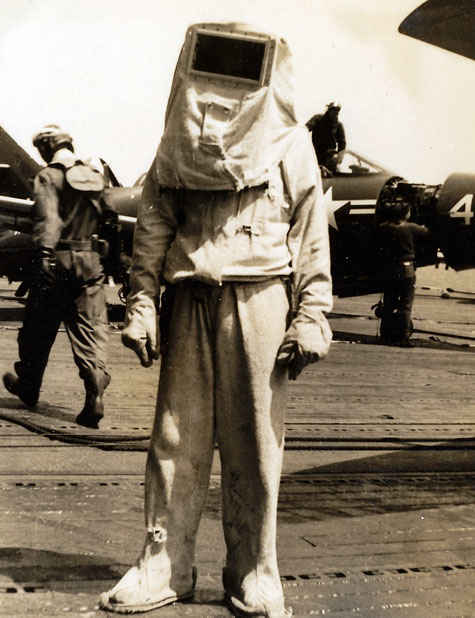 Firefighter suit on the Aircraft carrier USS Boxer 1950's. 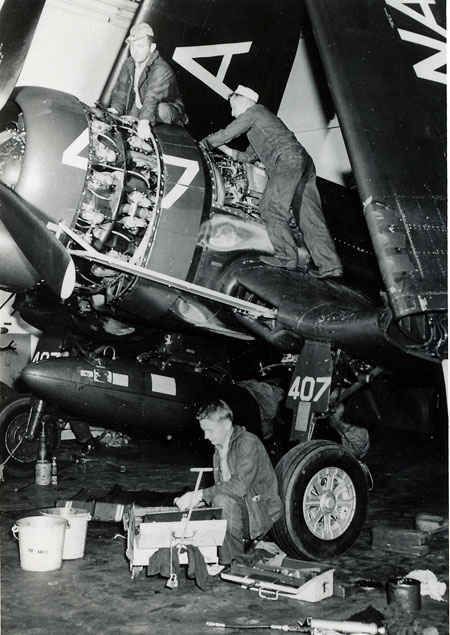 F4U Corsair undergoing maintenance. 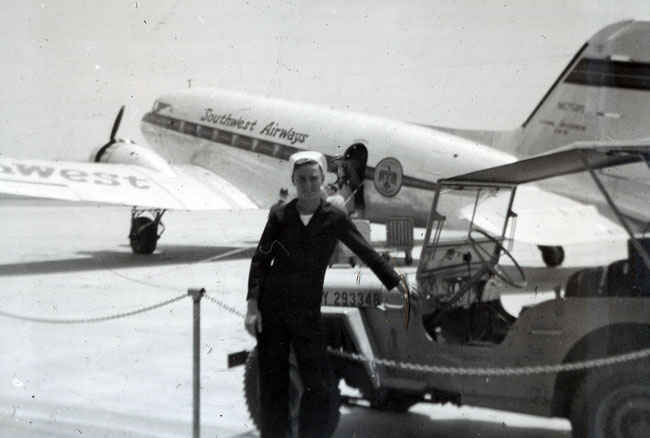 Each plane would have a plane captain making sure the plan was in flying condition at all times. 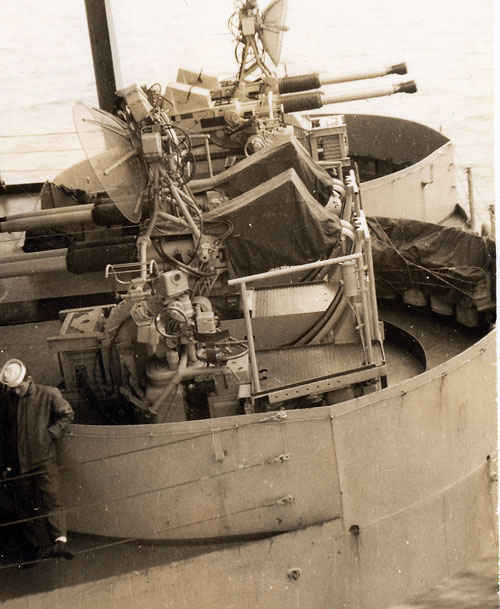 Anti-aircraft guns on CV-21 USS Boxer. 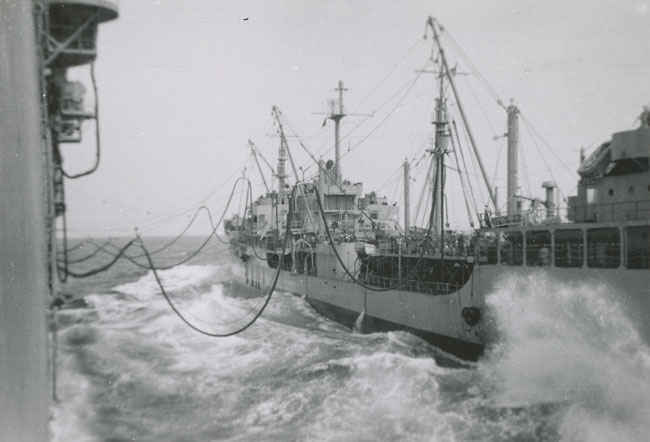 Push truck on Boxer Korean waters. 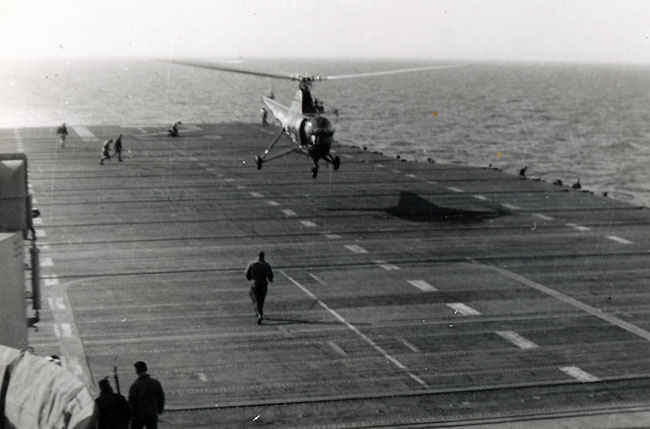 Helicopter flying above USS Boxer Korean War.